BUELACH, Switzerland, June 15, 2016 – BIOTRONIK announced today that the Magmaris bioresorbable scaffold has received CE mark approval. 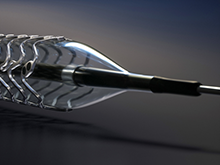 The first clinically proven magnesium scaffold, Magmaris grants physicians a new option for treating coronary artery disease without leaving a permanent implant behind. Positive data regarding the device’s safety and clinical performance from the BIOSOLVE-II trial was previously published in The Lancet; one-year data confirming long-term safety was recently published in The European Heart Journal. Bench tests show that Magmaris is superior to a leading polymer-based scaffold in terms of deliverability, as it requires 40 percent less force to enter and cross a lesion.1 Physicians will find it easier to steer through vascular anatomy, as 34 percent more force is transmitted to the delivery system end.1 Additionally, Magmaris’s magnesium backbone minimizes recoil following the procedure, meaning that the scaffold is able to withstand external force within the vessel. This ensures the vessel remains open following implantation to prevent potential complications. A global leader in cardio- and endovascular medical technology, BIOTRONIK is headquartered in Berlin, Germany, and represented in over 100 countries. Several million patients have received BIOTRONIK implants designed to save and improve the quality of their lives, or have been treated with BIOTRONIK coronary and peripheral vascular intervention products. Since its development of the first German pacemaker in 1963, BIOTRONIK has engineered many innovations, including Magmaris, the first clinically proven bioresorbable magnesium scaffold; BIOTRONIK Home Monitoring®; Pulsar, the world’s first 4 F-compatible stent for treating long lesions; Orsiro, the industry’s first hybrid drug-eluting stent; and the world’s first implantable cardioverter defibrillators and heart failure therapy devices with ProMRI® technology.